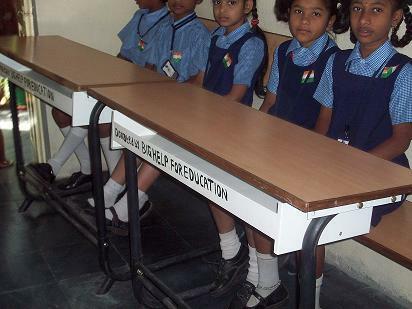 Bighelp provided school uniforms to 120 students and infrastructure facilities such as student desksand green boards to Ashray Akruti Little Angels School for the Deaf, which is providing special education facilities to children with hearing impairment and underprivileged. 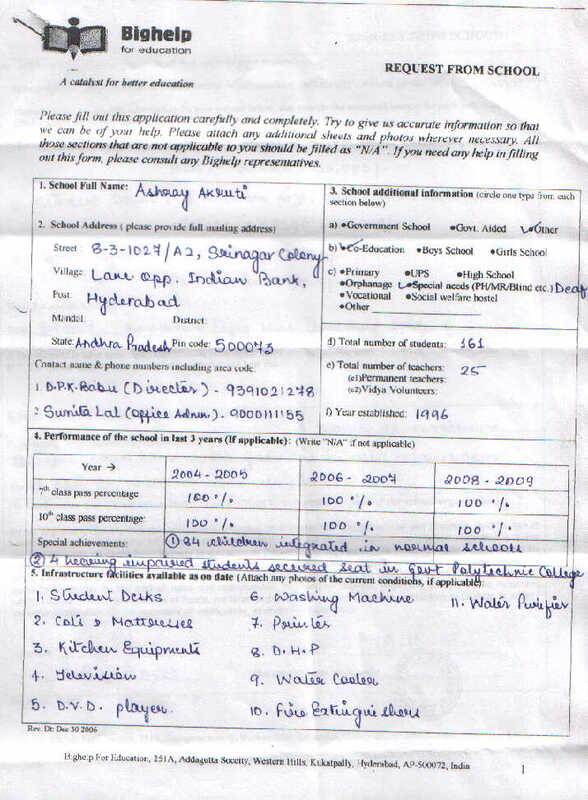 Ashray Akruti approached Bighelp to provide some help explaining their difficulties due to short fall of funds to meet their minimum requirements for the hearing impaired children in this year. 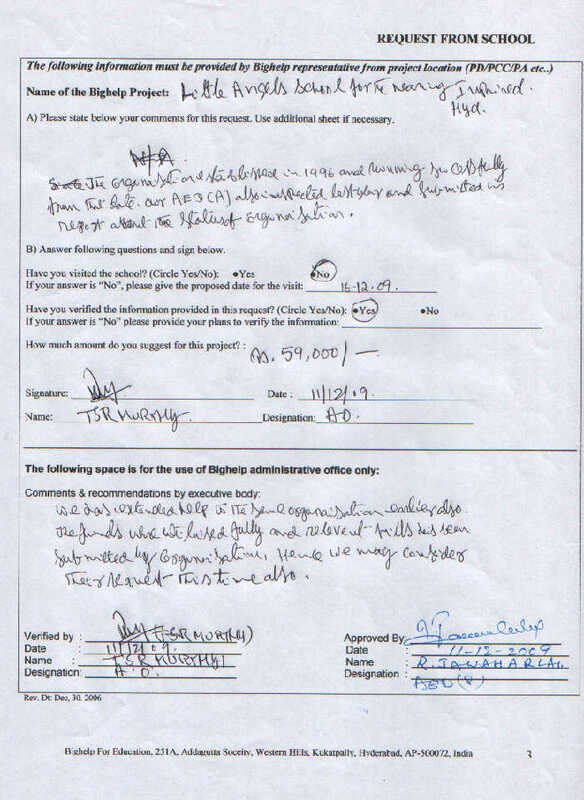 Bighelp felt their request is genuine. 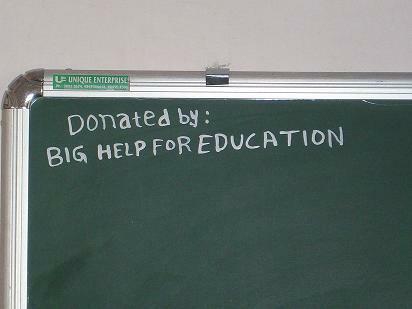 Hence Bighelp provided 120 Uniforms, 4 student desks and 2 green boards this year also. 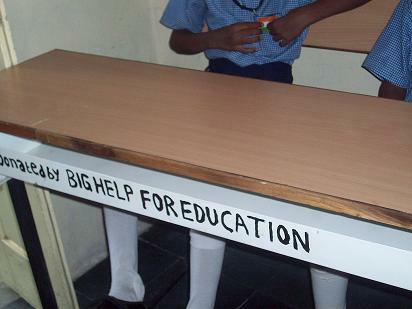 The Little Angles School for the deaf was founded in October, 1996 and at present caters to educational needs of about 161 children. Out of this 120 are Hearing Impaired children and the rest are dumb children. 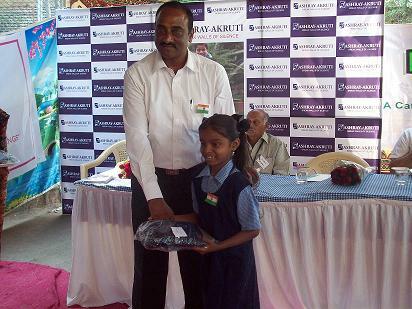 The donation program at Ashray Akruti by Bighelp for presenting school uniforms etc was held on 26-01-10 on the eve of Republic day. 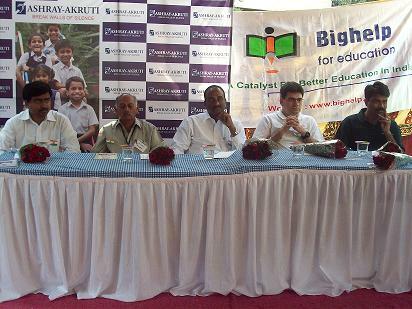 Mr. Jawaharlal and Mr.S.Seshagiri Rao were attended to the function. The other dignitaries attended are from M/s. 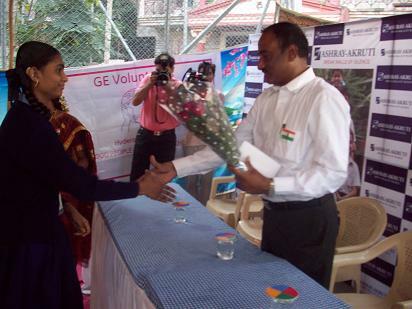 Thomson reuters, GE volunteers and Srujanavani Volunteeers along with public, teachers, staff and students. The national flag was hoisted jointly by Mr.Jawaharlal and MD of M/s. Thomson reuters. Later meeting was conducted with all dignitaries on the dais. 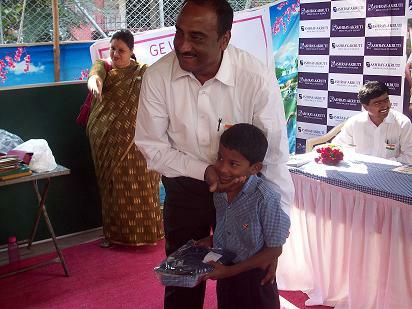 All the persons have spoke on the occasion and greeted hearing impaired students. 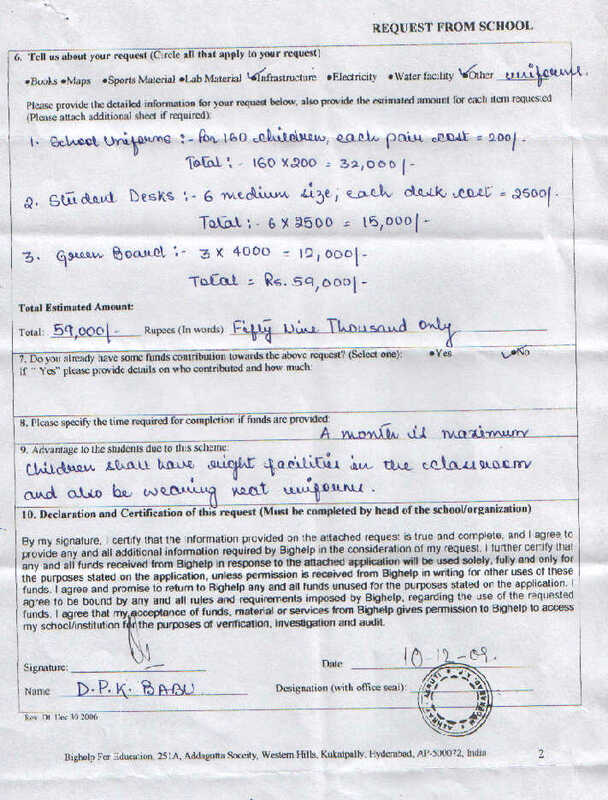 Mr.Jawaharlal and Mr. S.Seshagiri Rao have narrated the activities of Bighelp.